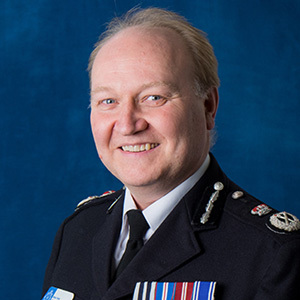 As Chief Constable (CC) of Sussex Police, Giles York engages closely with the Police and Crime Commissioner and leads the Chief Officer team. Giles is the force lead for Diversity. He is the national police lead for the Workforce Development, Intellectual Property Crime and Digital First. CC York started his service with Kent Police before being appointed as Assistant Chief Constable with South Wales Police; he was promoted to Deputy Chief Constable in Sussex Police in 2008.